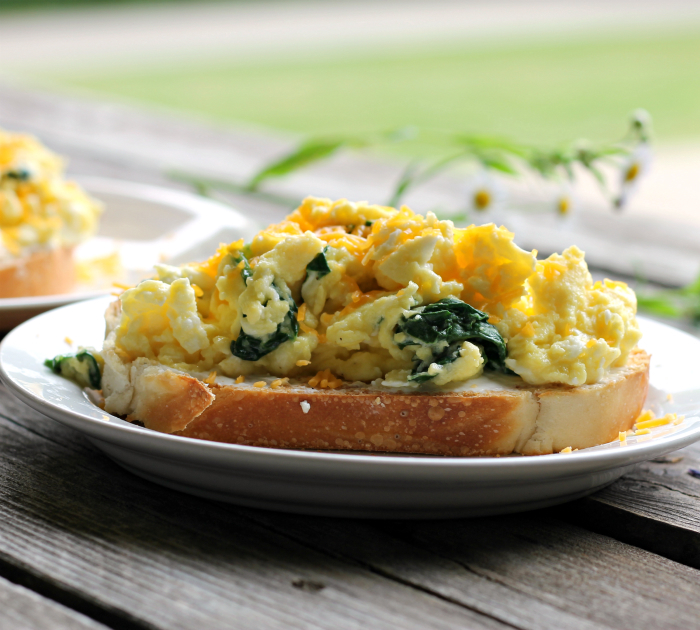 Scrambled egg toast, a simple and easy breakfast perfect for Sunday morning. 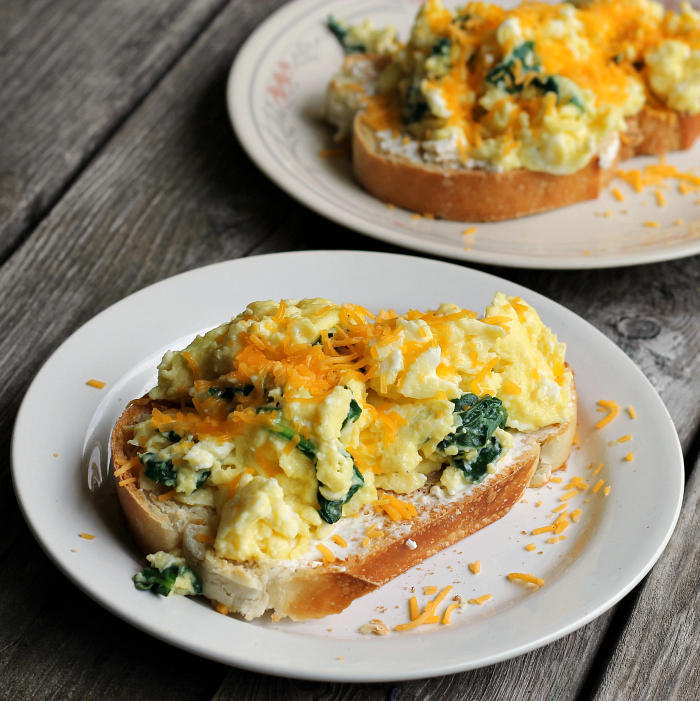 I love a simple breakfast of eggs and toast on Sunday morning. During the week, it’s a rush to get out of the house, so I don’t bother with making eggs those mornings. But when Sunday morning rolls around the morning is a bit easier going, no place to go, no work. Nice! Sundays are my day that I like to spend a bit more time in the kitchen, cooking and baking. 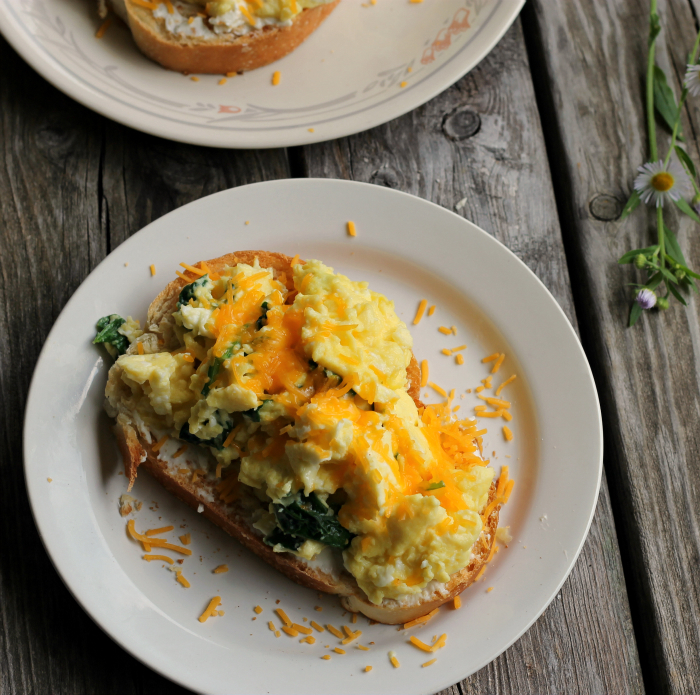 Once in a while I like to try something different with eggs. Like this post, this is something simple, but it was yummy. 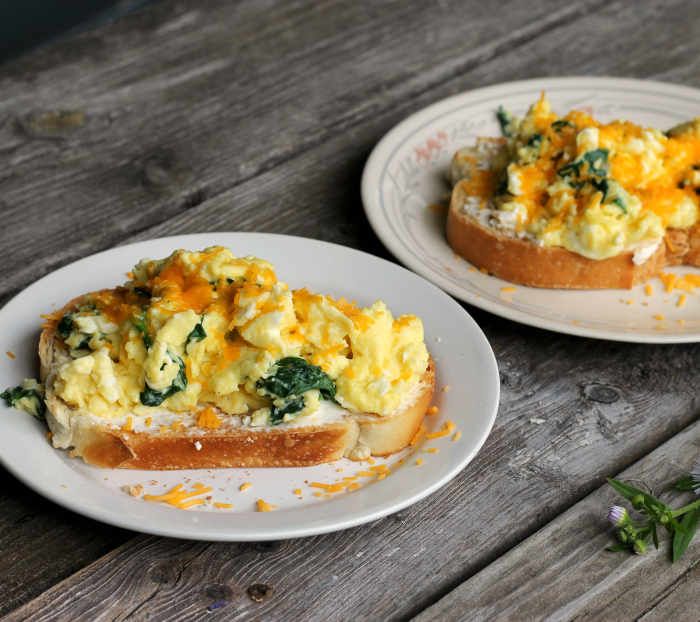 Fluffy scrambled eggs with cottage cheese and spinach, place on toast that is spread with cream cheese that has a few pinches of celery salt in it. If you don’t like celery salt you could use any fresh herbs that you may have growing in your garden or whatever you can think up. Combine the eggs with cream and beat just until the until the whites and the yolks are blended. Add the cottage cheese, spinach, salt and pepper to taste and mix until blended. Over low heat melt one tablespoon butter. Once the butter is melted add the eggs. With a spatula or wooden spoon stir the eggs until the are done to your liking.